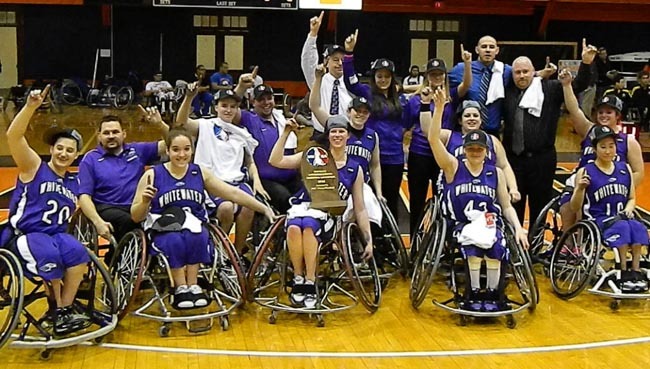 Both the University of Wisconsin-Whitewater men's and women's wheelchair basketball teams recently won national championships. The women were able to defeat Alabama in the championship game while the men got past Illinois. This was the tenth national championship for the men's team and the first for the women. 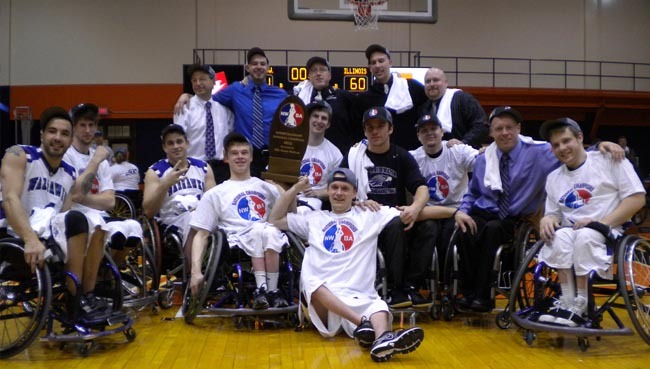 Wheelchair basketball is played at many levels, from the NCAA, NWBA, and the Paralympics. Many NWBA teams are even sponsored by local NBA teams in large cities. Wheelchair basketball can be a great outlet for newly injured individuals who were active prior to their injury. However, the sport is not limited to those who were serious athletes prior to their injury. Wheelchair basketball works on a point system in which each individual is assigned a disability rating for the sport, for example: 1,2, or 3 in the past, with three being the least disabled and 1 being the most severe. A team is not able to put all of its least disabled players on the floor at one time, creating a balanced playing field requiring inclusion of all players on the team. For more information on wheelchair basketball teams in your area, check out http://nwba.org/.